Serving Tray for Century Bottled Beer from The Phil. 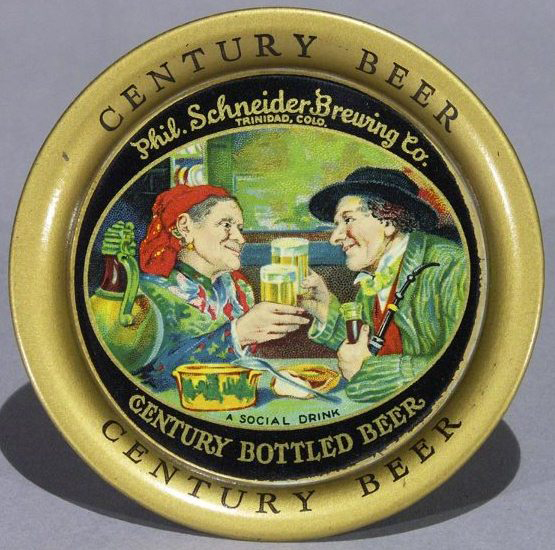 Schneider Brewing Company out of Trinidad, Colo. Showing in the center a couple dinning and enjoying their glasses of the company’s brew.